In her extraordinary debut, Aline Ohanesian has created two remarkable characters–a young man ignorant of his family’s and his country’s past, and an old woman haunted by the toll the past has taken on her life. When Orhan’s brilliant and eccentric grandfather Kemal–a man who built a dynasty out of making “kilim” rugs–is found dead, submerged in a vat of dye, Orhan inherits the decades-old business. But Kemal’s will raises more questions than it answers. He has left the family estate to a stranger thousands of miles away, an aging woman in an Armenian retirement home in Los Angeles. Her existence and secrecy about her past only deepen the mystery of why Orhan’s grandfather willed his home in Turkey to an unknown woman rather than to his own son or grandson. Left with only Kemal’s ancient sketchbook and intent on righting this injustice, Orhan boards a plane to Los Angeles. There he will not only unearth the story that eighty-seven-year-old Seda so closely guards but discover that Seda’s past now threatens to unravel his future. Her story, if told, has the power to undo the legacy upon which his family has been built. Moving back and forth in time, between the last years of the Ottoman Empire and the 1990s, Orhan’s Inheritance is a story of passionate love, unspeakable horrors, incredible resilience, and the hidden stories that can haunt a family for generations. 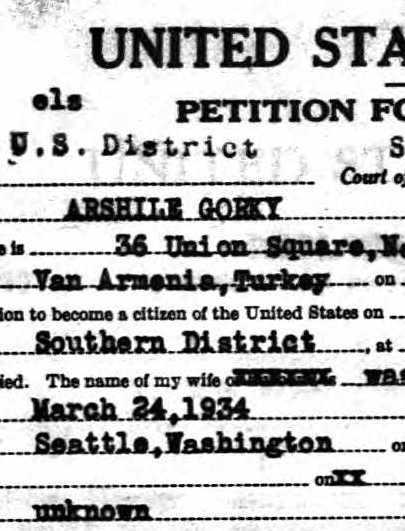 Aline Ohanesian’s great-grandmother was a survivor of the Armenian Genocide. Her history was the kernel for the story that Ohanesian tells in her first novel, Orhan’s Inheritance. Ohanesian was a finalist for the PEN/Bellwether Prize for Fiction and “Glimmer Train”‘s Short Story Award for New Writers. Born in Northridge, California, she lives and writes in San Juan Capistrano, California, with her husband and two young sons. Her website is www.alineohanesian.com. The event takes place on April 7 at 7:30pm. As the world reflects on the Armenian tragedy of 1915, Pomegranate Publishing has released a new children’s picture book, Mariam’s Easter Parade, which celebrates the traditions of the Armenian culture. This April marks the 100th anniversary of the Armenian genocide in which four million Armenian residents are estimated to have died in Ottoman Turkey. 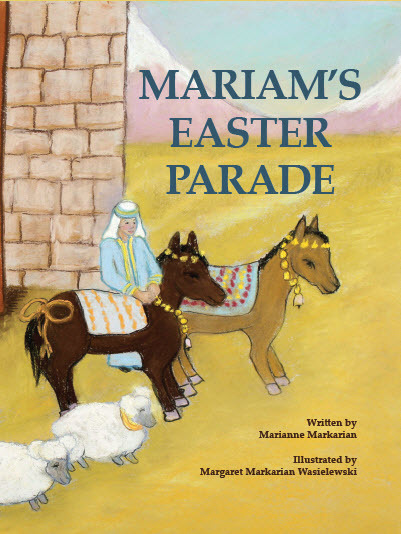 Written by Marianne Markarian and illustrated by Margaret Markarian Wasielewski, Mariam’s Easter Parade is a light-hearted story of young girl who might be too small to help with the Easter preparations, but she is clever enough to celebrate with her own special parade! “While it’s important to acknowledge and remember the lives lost to the genocide, it’s also important to celebrate the traditions of the Armenian culture, which continues to thrive in a diaspora that extends from the former Soviet Republic to the United States and Canada,” said publisher Marianne McCarthy. Armenians celebrate the Easter holiday with faith, food, festivities—and egg-cracking contests! The book includes a recipe for dying Easter eggs with onion skins and instructions for the Armenian egg-cracking game. 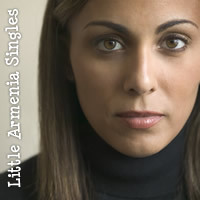 Markarian is a second-generation Armenian-American who used her grandmother’s life in the “old country” of the Ottoman Empire as inspiration. Her first book, The Pesky Bird, was a ForeWord Book of the Year finalist. The illustrator is an award-winning artist and member of the Cincinnati Art Club and the Woman’s Art Club of Cincinnati. Her work has been exhibited in New York, Detroit, Cincinnati, Florida, and Chicago. Her vivid pastel illustrations portray the beautiful countryside and colorful dress of the Armenian people in the early 1900s. The book is available at Amazon.com as well as independent bookstores throughout the country. For more information, visit the company’s website at https://pomegranatepublishing.wordpress.com/. Based in Southern California, Pomegranate Publishing is an independent publishing company that explores cultural integrity through books.